When President Barack Obama recently paid tribute to the late United Farm Workers union leader Richard Chavez, he was in effect, saluting his own roots. 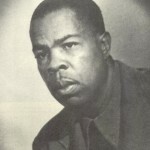 Richard Chavez, brother of U.F.W. founder Cesar Chavez, died July 27 aged 81, in Bakersfield, California. Richard Chavez was connected to several strands of the movement that would eventually put their finest son, Barack Obama, into the White House. He was, for over 40 years, the partner of a U.F.W. founder and long time Democratic Socialists of America Honorary Chair Dolores Huerta. Obama himself has enjoyed almost a thirty year relationship with D.S.A., the U.S.’s largest Marxist organization. In 1951, Richard Chavez started a carpenter’s union apprenticeship program in San Jose and found work framing suburban homes. 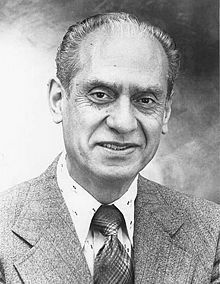 By 1952, he had moved to Delano, California where he served as president of the local chapter of the Community Service Organization, a Latino civil rights group co-founded by his brother Cesar. Corona also helped set up the C.S.O. and worked to elect Roybal to the Los Angeles City Council. 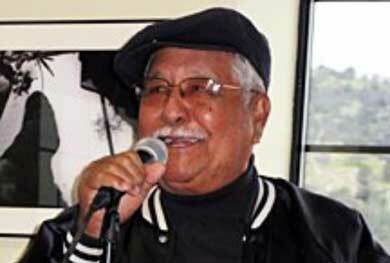 In 1959, Ed Roybal and Bert Corona met in Fresno to form the radical Mexican American Political Association. This organization’s mission was the support and promotion of Mexican American candidates within the Democratic Party. The young organization helped set up the Viva Kennedy clubs that, for the first time, brought large numbers of Mexican Americans into a Presidential campaign. A few years later, a young Latino radical named Tony Vilar was trained by Bert Corona through M.A.P.A. Today, Antonio Villaraigosa as he is now known, serves as the Mayor of Los Angeles. In early 2009, he took a break from that job to serve on the Obama Transition Team. In 1964, Chicano “civil rights” movement activists including Bert Corona, Cesar Chavez and Dolores Huerta forced Congress to end the U.S. guest worker “bracero” program. The next year, Mexicans and Filipinos went out on strike in Coachella and Delano, and the United Farm Workers was born. 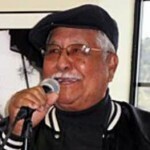 Richard Chavez helped his brother set up the U.F.W. and continued to work for the organization for many years. Bert Corona in turn owed his career to secret Communist Party member and International Longshore and Warehouse Union leader Harry Bridges. Corona came to Los Angeles to study at USC, where he went to work and was caught up in the labor ferment of the late 1930s. He became president of Local 26 of the International Longshore and Warehouse Union, and a political ally of Harry Bridges, one of U.S. labor’s most progressive and democratic leaders. 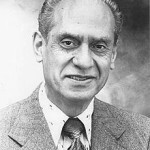 After Corona was fired from ILWU position union over an internal dispute, Harry Bridges, also a major figure within the communist dominated Congress of Industrial Organisations , offered Corona a job as a CIO organizer. 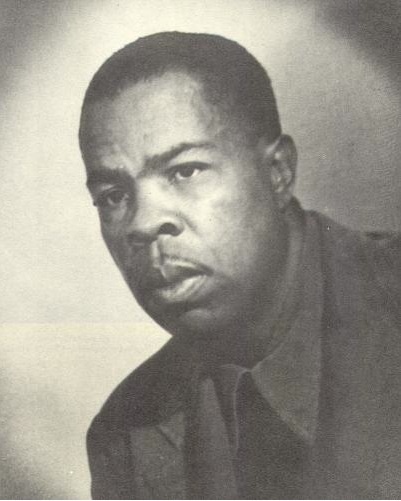 Harry Bridges also reportedly helped another leading Communist Party member with his career, Chicago based writer Frank Marshall Davis. 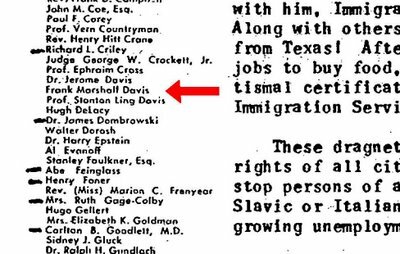 According to Davis’ autobiography, his 1948 move to Hawaii was recommended by singer/activist Paul Robeson (also a secret Communist Party member) and Harry Bridges. Davis met Bridges at the Chicago’s communist run Abraham Lincoln School, where Bridges recommended that he contact communist Koji Ariyoshi, editor of the union backed Honolulu Record. 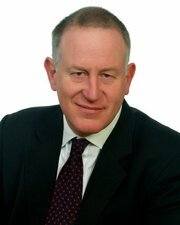 Davis subsequently worked for the paper for several years. Circa 1970, Davis would meet, and go on mentor for several years, the young Barack Obama. 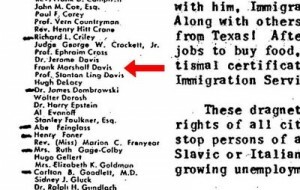 As late as 1973, Davis also served as a sponsor of the well known Communist Party front American Committee for Protection of Foreign Born (which mounted major campaigns to save Australian born Harry Bridges form deportation), alongside well known California communist and former democratic party Congressman, Hugh DeLacy. Ten years later, DeLacy had formed a long lasting and close relationship to a young California Congressman named Leon Panetta – who was recently appointed by Barack Obama as U.S. Secretary of Defense. 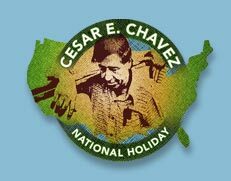 In the late 1990s, Southern California Communist Party leader Evelina Alarcon and the United Farm Workers union began agitating to make Cesar Chavez’s birthday a California public holiday. Alarcon enlisted the support of Dolores Huerta and her brother, then Democratic Majority leader of the California State Senate, Richard Alarcon, who introduced Senate Bill-984, which would make March 31, Chavez’s birthday a paid public holiday. That campaign succeeded, so Evelina Alarcon and the Communist Party launched the Cesar E. Chavez National Holiday to lobby for the holiday on a national basis. Endorsers of the campaign included Dolores Huerta and Antonio Villaraigosa. The campaign scored a major propaganda coup in April 2008, when no less a figure than presidential candidate, Barack Obama publicly endorsed the idea. Evelina Alarcon scored another coup in June 2008, when presented a poster from her organization to Barack Obama’s younger sister Maya Soetoro-Ng at a gathering in East Los Angeles. Cesar Chavez’s famous slogan was “Si se puede” – later used in English translation “yes we can” for the Obama campaign of 2008. Barack Obama, however, has more in common than a campaign slogan with Cesar Chavez. Like Cesar Chavez, Barack Obama was made into an icon by an unholy alliance of communists, socialists and Alinskyites. Cesar Chavez didn’t make a movement, a movement made Cesar Chavez. The same movement “made” Barack Obama – and Richard Alarcon, Antonio Villaraigoas, even to some degree Leon Panetta. By saluting Richard Chavez, Barack Obama was just just showing a little gratitude. Guess NOW we know why there are fewer and fewer Mexican illegials in the USA, why the borders are unprotected and why no one seems to care. Yet one more agenda for our current administration.